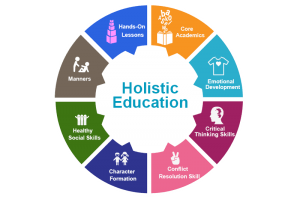 Holistic education is based on the principle that every person out there finds the purpose of life, meaning and identity through community connections, spiritual values connections, and natural world connections. In comparison to the traditional way of education, the holistic approach serves as a fantastic alternative. The discoveries related to child development are expanding each passing day. These discoveries and new theories have made the implementation of this method far more effective as compared to the past. The idea behind holistic approach is that children can be taught in an environment which is both engaging as well as natural. As opposed to the compartmentalizing of school subjects, the approach aims to empower children to utilize their academic learning as a tool for their social and emotional development. There are many benefits associated with holistic approach, however, one of the main advantage which it provides is in terms of growth. As opposed to a traditional educational approach, the holistic approach focuses more on emotional, psychological, and social growth of children. The approach in reality motivates the children to learn about a particular subject. Moreover, this learning revolves around creativity. As opposed to the mass education system the holistic approach treats each child or student individually. The Montessori Method developed by Maria Montessori itself has its basis in a holistic approach to education. Maria Montessori focused on holistic and scientific method of development which ultimately helped her in the development of Montessori Method. The method has been accepted worldwide today and is considered as the best by many as far as early development of children is concerned. 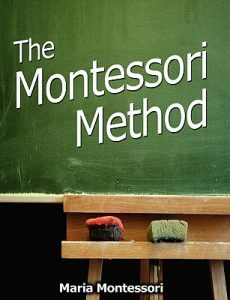 In a nutshell, the Montessori Method is an alternative name of the Holistic Approach to education. The Montessori Method emphasizes on freedom (within limits), independence, and respect for the social and natural development of a child. The method pushes the children to work with different materials so that they may develop the power of self-discipline and concentration. The basic difference between traditional method and Montessori Method lies in the fact that the traditional method focuses on the transmission of knowledge in the form of prescribed blocks while the Montessori Method focuses on natural development of children. The Montessori Method principles are based on the concept of respect for children. 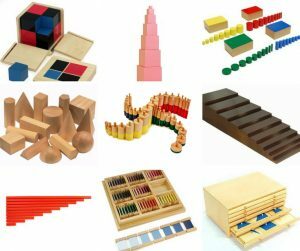 The Montessori curriculum is based upon the concept of Exercises of Practical Life (EPL), Mathematics, sensorial Materials, and culture. The basic purpose of EPL is to assist the child in the development of fine and gross motor skills, coordination in movement, independence, control, and confidence for creating orderliness. The EPL involves activities of everyday life and involves care of the environment as well as the self. Mathematical development is a key component of the Montessori Method. The Mathematics and Geometry begin from exploration of symbol, shape, quantity, and size. The exploration further increases and also covers the materials for mathematical operations like division, addition, and some geometrical concepts like dissimilarity between two dimensional and three dimensional objects. Thermic: Involves modification of temperature sense. Culture involves education related to social studies, geography, history, and science. The education is broken into small segments so that the child can learn the concepts with ease. In this short discourse, we have discussed the Holistic Approach of Maria Montessori in detail. To summarize, all we can say is that the Holistic Approach of Maria Montessori is today known as the Montessori Method. To know more about the Holistic Approach Philosophies, check out this one by noodle.com. Next StoryLooking For Top Montessori Schools In USA? Your Search Ends Here!